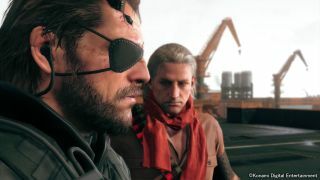 Those of you who have played Metal Gear Solid 5: The Phantom Pain will know that you are required to enter your birthday (or at least, what you claim is your birthday) during the game's introduction. As it turns out, there's a reason. The video posted by YouTuber whatsisface (happy birthday to them, by the way) is unexpected, bizarre, and oddly touching, too. Because your birthday is Snake's birthday, and when it's Snake's birthday, there's a party. There's even cake! So happy birthday to you, Snake, and to everyone who shares it. How thoughtful of the Mother Base crew to surprise you.